Increased energy! No more feeling tired and sluggish. No afternoon sugar cravings followed by a slump! Glowing soft and radiant skin! Reducing inflammation in your body! Reducing symptoms of chronic diseases and type 2 diabetes! Stabilising blood sugar levels / insulin spikes! Regulating hormones and symptoms of PCOS! Better moods, feeling happier and more confident! Your clothes will start to fit better, or you’ll even drop down sizes so dig out those skinny jeans you had stashed away! Here’s a link we love with even more info on why LCHF is so good for you. 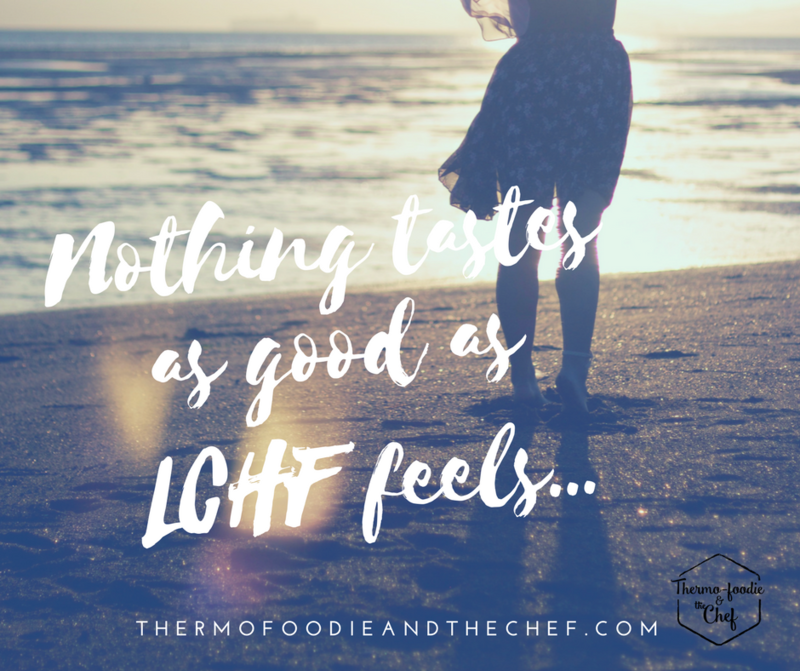 So remember, nothing tastes as good as LCHF feels! You can feel better, healthier, happier from the inside out. Start with our free 7 day meal plan, we make it so easy for you.